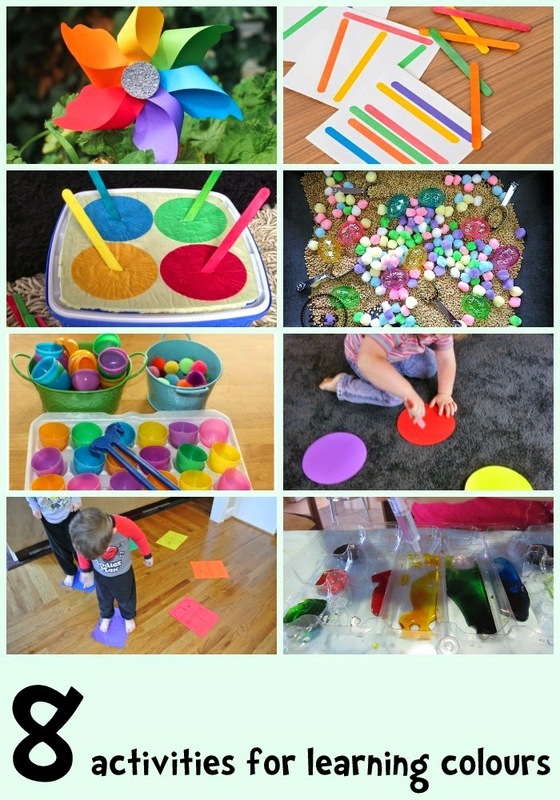 "8 Activities to help learn colours"
One of the first things that many children learn are their colours. 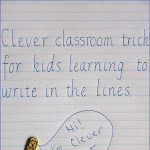 (Yes, that's how we spell colour (color) here in Australia). 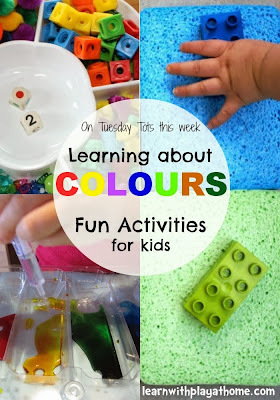 It is such an obvious and everyday occurrence for children that it makes sense that they would find the need to classify, organise and understand their world in colours. 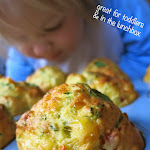 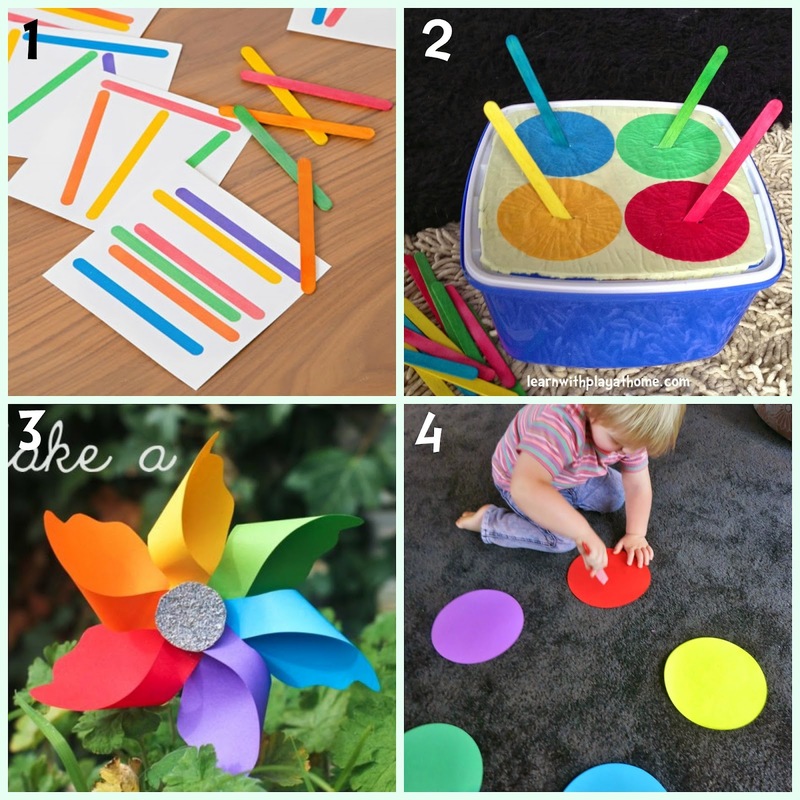 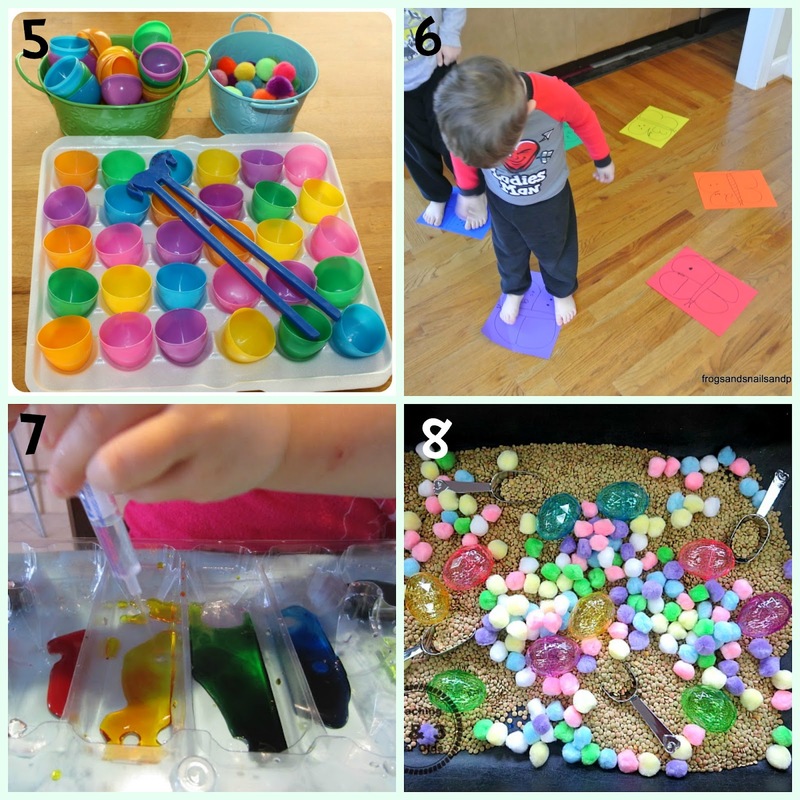 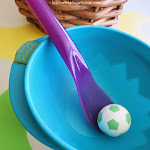 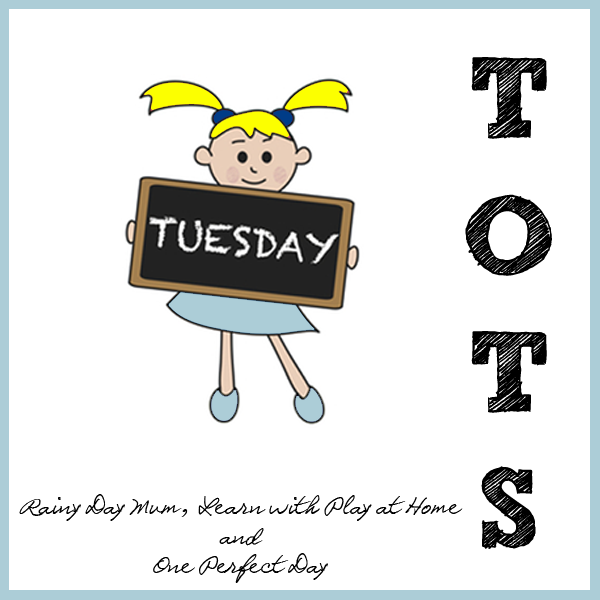 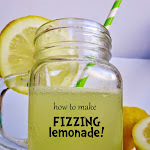 Here are a fun collection of ideas from last week's Tuesday Tots linkup, that will help children learn their colours, but at the same time work on important skills such as fine motor, sorting, grouping, gross motor, numbers/counting, patterns and more.